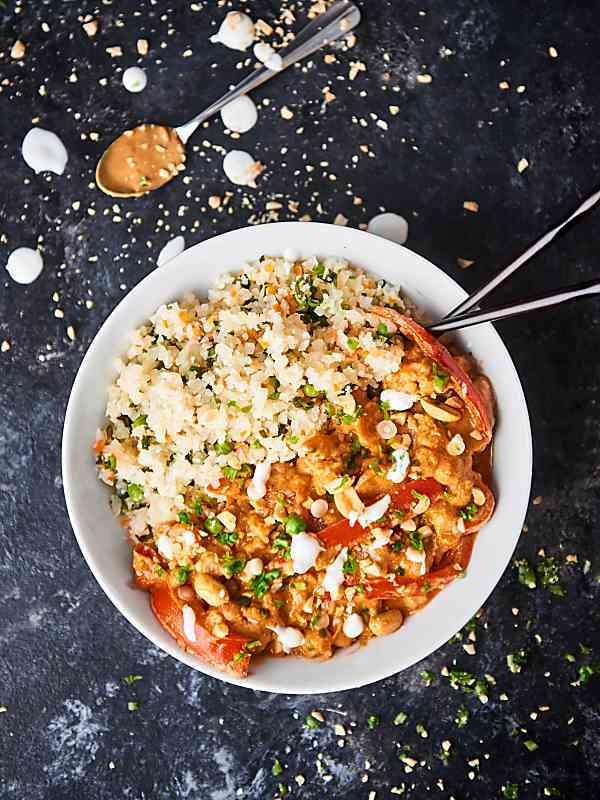 This Slow Cooker Vegetable Curry is packed with vegetables and loaded with all your favorite Thai flavors: red curry paste, coconut milk, peanut butter, and more! Healthy. Vegan. Gluten Free. I’ve been doing a really bad job of eating healthy lately. It’s a travel day, so we should just get delivery. Weeeellll, we’re only in Chicago for a few more days and I reeeeeally want to try restaurant x, y, and z. Traveling is so exhausting, I’m too tired to cook anything. Let’s get take out. Gimme all the veggies and healthy deliciousness. Enter: Slow Cooker Vegetable Curry. 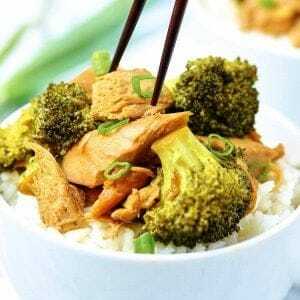 Healthy eating doesn’t have to taste disgusting or boring or take forever and a day to make – you can see all our easy healthy dinner recipes here <– It’s my mission to bring you guys more of those; stay tuned! So let’s talk about this Slow Cooker Vegetable Curry. I’m obsessed already, because it’s made in the crockpot, my number one FAVE kitchen tool. Because it’s made in the crockpot, this dinner comes together in a matter of minutes. I’m also obsessed because this recipe packs in a TON of veggies. It also packs in a TON of my favorite Thai flavors. Chickpeas <– I know. Not a veg, but that’s our protein for today! Step Four: Cover and cook! Serve with cauliflower “rice”, brown rice, whatever! 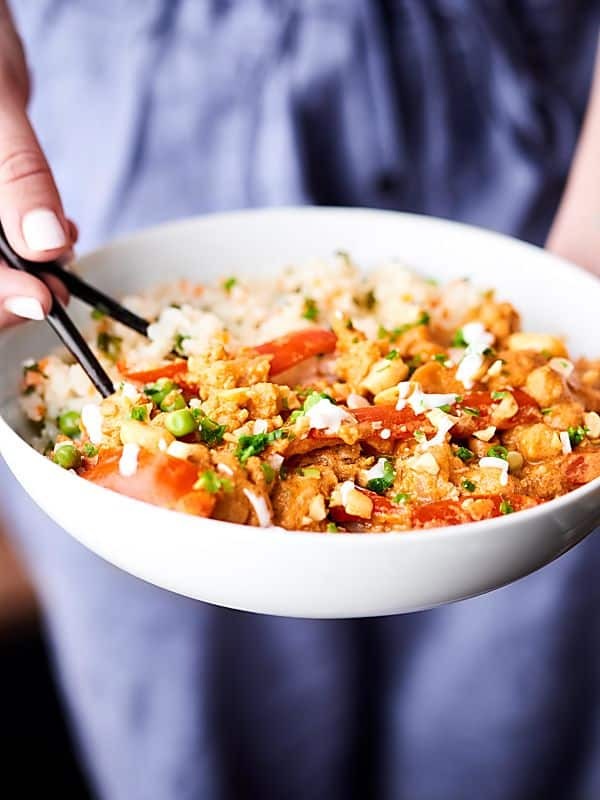 I absolutely LOVE the tender veggies smothered in that flavor bomb of a sauce: creamy coconut milk, a touch of peanut butter, spice from the curry paste . . . it’s kiiind of the perfect combination of a little sweet, a little spicy, a little tangy. Healthy deliciousness at it’s finest. What crockpot recipe do you want to see next? Show Me the Yummy! In crockpot, whisk together coconut milk through salt. Stir in chickpeas, peas, cauliflower, carrots, red bell pepper, and onion. 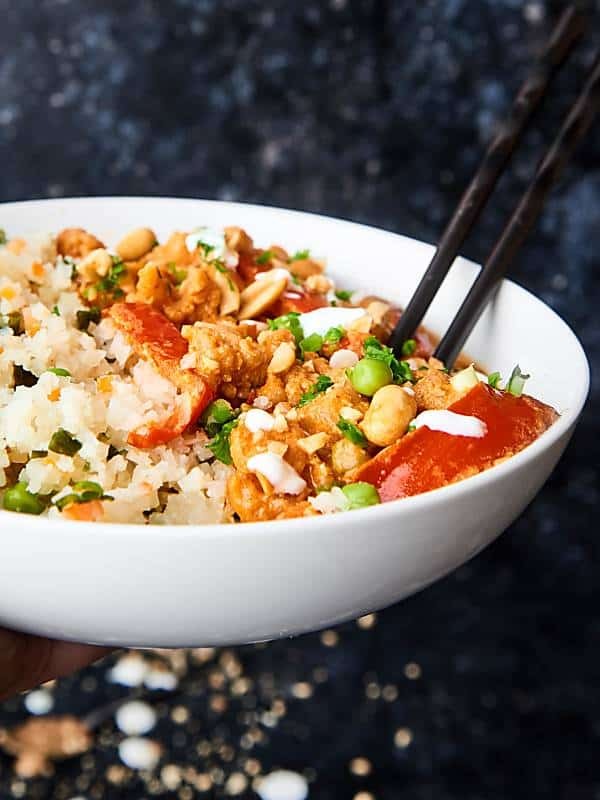 Serve over rice of choice and garnish with cilantro, peanuts, and green onions. 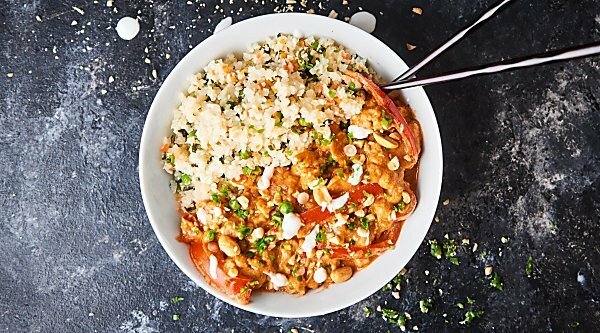 Love a healthy slow cooker option and this curry looks and sounds amazing! traveling sure can do that. But slow cookers save all, right?! YUM! With the weather cooling down, this is exactly what I need!! 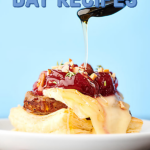 Another great slow cooker recipe! I love vegetable curry, so this one will be on our menu soon! Packed full of deliciousness, this looks amazing!! 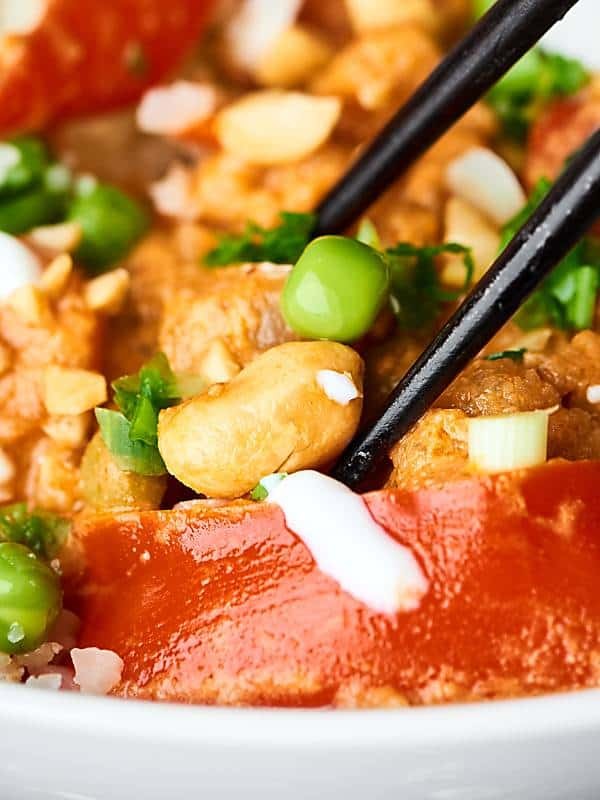 Loving the look of this veggie curry, Jennifer!! Interesting. What is a gluten-free and soy-free substitute for say sauce. I need more slow cooker recipes! this looks incredible! Definitely looks healthy AND delicious! Love this veggie packed recipe! Perfect for a healthy and hearty meal! Thank you for the recipe! Can green curry paste be used as a substitute for the red curry paste? Thanks! Made this today…wow, so tasty!! Very easy to make and an instant favourite meal. Thank you! This is so delicious!!!! Made it this week. Thanks for a great recipe!